The history of the string quartet is well-known and its influence long-lasting. The masterworks composed by Haydn, Mozart and Beethoven as well as those created by Bartók, Ravel, Berg and Shostakovich continue to move listeners with their passionate intensity and intimate beauty. The string quartet is often considered to be a touchstone for a composer of Western concert music. The genre and its history inspire many composers to inhabit and explore the concentrated nature of this medium, for through such focus and the seeming limitation of four equal voices, expansive emotional landscapes may be realized. Through his quartets, composer Jeremy Beck provides an intriguing and inviting window into his own direct and communicative sound world. Composed over nearly 25 years, four of Beck’s five quartets are brilliantly performed here by diverse ensembles from Los Angeles, St. Petersburg, Russia, and Louisville, Kentucky. These exciting compositions reveal key facets of Beck’s engaging approach to tonality, rhythm and form. The fifth innova CD devoted to Beck’s work, String Quartets is yet a further celebration of music and its exceptional power to move and inspire. 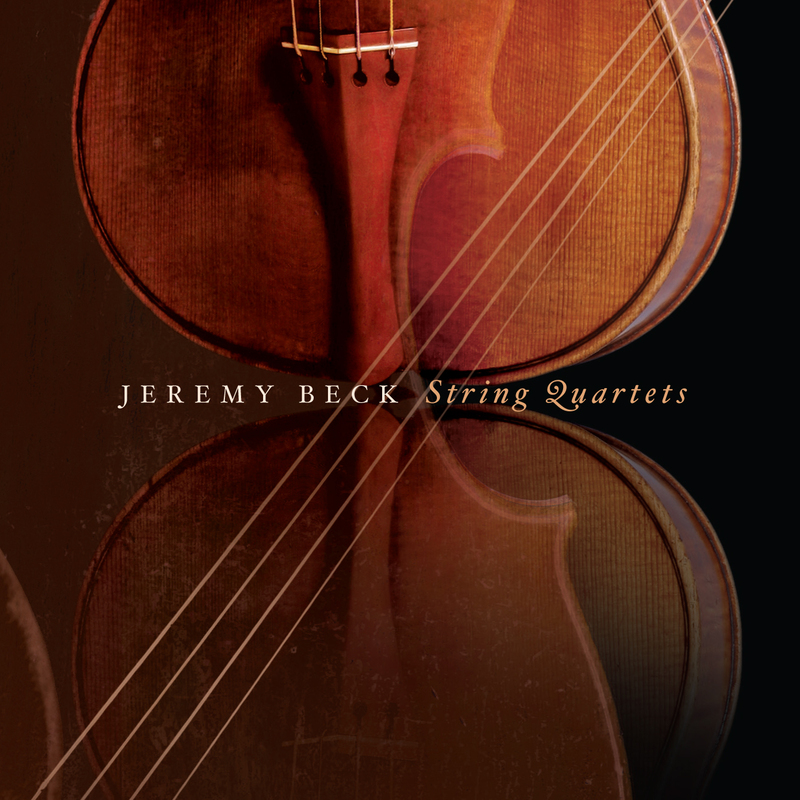 "Beck writes graciously and warmly for the string consort, and his quartets will likely appeal to most music lovers[.] … Quartet 4, in four well-contrasted movements, is the most melodic of the batch, with a soaring second theme in the opening allegro and a quite nice finale—a sort of valedictory prayer[.] … All the musicians do play with endearing and communicative involvement in Beck’s music." “It is often said that in string quartets, composers are able to explore the world of their most intimate feelings, their most hidden desires and thoughts. It’s not difficult to include Jeremy Beck in that, given his natural tendency to write music that is never excessive in presentation or bombastic in style. This CD from Innova, which contains four quartets composed by Beck between 1987 and 2006, splendidly performed by the Da Kappo String Quartet, proves much more than expected, adding the pleasant discovery of Beck’s particular affinity for the resonant articulation of the bow, from which he supports and amplifies its intrinsic potential, designing a weave that carries the four instruments at times to unite in vigorous unison, and at other times to open up into elegant and polyphonic arabesques.